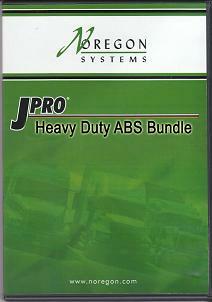 Factory software used in the Heavy Truck dealerships to repair your ABS problem. Provides OEM level diagnostics for both truck and trailer brake systems. Reads and clears and ABS Codes & TPMS information & Collision Avoidance (see below). J1939 diagnostics for pneumatic antilock braking system (ABS) and electronically controlled air suspensions (ECAS) systems, as well as an expanded help function.